Louise O’Donnell is an innovation specialist and multi-platform content director, recently Project Director for YouTube Symphony Orchestra 2011, the largest streaming event that YouTube has ever seen. O’Donnell states that the aim was to demonstrate the power of an aggregated platform to inspire creativity, encourage new talent and new ways of collaborating globally. 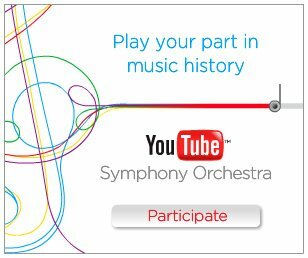 The result: participation from 33 countries, 101 musicians, 2.8m watching live on their mobiles, and a staggering 33m live stream views. Next up: Sam Doust, Creative Director of Strategic Development for the Innovation division of ABC. Doust focused on digital narrative and how it differs from traditional storytelling methods: “digital narratives, such as games, form worlds around a plot, a spectrum of openness that can be an interactive and non-linear experience”. Doust discussed “combinatorial explosion”: how can you control what is actually going to happen in a digital narrative when there are so many multiple branches of potential non-linear interactivity? As a result, you need to understand the degree of control you are going to give your users when conceptualizing your digital narrative and story world. You may need to “go into contract with your audience”: ask them to acknowledge the fourth wall and then ignore it. Otherwise, you have to aim for total plausibility, but the depth of narrative experience, complexity, scale and expense will be high. Doust briefly showcased ABC’s “Bluebird” (2010), an online alternative reality drama which blurred the boundary between fiction and documentary. There were three tiers of audience: ‘lean-forward’ users, who invested high amounts of time (2-3 hours a day); middle group, who were semi-participating (up to 30mins a day); and then a much larger ‘lean-back’ group who were following and observing. Next to the stage was Yang Lei, Curator and Exhibition Director at China Millennium Monument Museum of Digital Art (CMoDA). Lei began with some impressive stats reflecting massive digital media consumption across China, but quickly moved on to contrast this with limited uptake of cultural content and engagement with the arts. And last in this session was Derek Woodgate, President of The Futures Lab. As a Futurist, Woodgate focuses on discontinuous change: massively significant events or developments, occurring every 7-10 years, after which our ‘ecosystem’ is changed forever. A past example is the internet. And Woodgate comments we are currently experiencing discontinuous change through nanotechnology. Today, Woodgate discussed “experiential entertainment”, or creating a “sense event” and Plutopia 2012, the theme of which will be “the future of imagination”. Woodate concluded with a prediction: “by 2020, digital entertainment will be fully-immersive, physically-experienced events”.